One of the best ways to beat the heat this summer is by escaping into a movie theater and enjoying a film with your family or loved ones. While nearly every town in America boasts a multi-screen cineplex, it’s not every day you find a theater with character and charm as unique as the films they present. 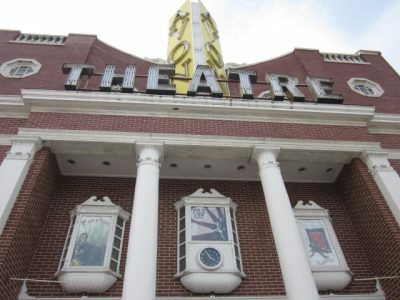 The Greenwich area does have the good fortune to boast one of these theaters nearby! We invite you to explore the Avon Theatre in Stamford and discover why it’s an absolute must for your vacation itinerary. Find more local entertainment like the Avon Theatre in Stamford other Greenwich must do’s in our free Vacation Guide! It’s a handy tool in planning the ultimate getaway to our romantic destination near NYC. Located right on Bedford Street downtown, the Avon Theatre in Stamford is located in a classic movie theatre built in 1939. This beautiful building is reminiscent of many Main Street movie theaters from the Golden Age of film that have been lost to the wrecking ball in recent decades. Regularly playing the best of independent films, documentaries, foreign films, and Hollywood classics, the Avon Theatre is a must for movie fanatics. It is also a non-profit organization devoted to both preserving the old theater and presenting film in all its forms. They believe that attending the theater is an escape from the real world and a source of education, history, and art. The Center even provides community dialogues with directors, actors, and other members of the film industry. What’s Playing at the Avon Theatre in Stamford? Tickets are usually $11 for non-members, or $6 for members, with membership starting at $70 a year (or $50 for seniors or students). Here are just a few upcoming films to add to your list! Beatriz is an immigrant from a poor town in Mexico striving to build a career as a health practitioner in Los Angeles. When she meets billionaire Doug Strutt at a dinner party, their two worlds collide. Neither of them will ever the the same. This film comes from acclaimed writer/director Sofia Coppola. It is an atmospheric thriller will leave you on the edge of your seat from beginning to end. At a southern girls’ boarding school during the Civil War, an injured enemy soldier is taken in by the sheltered girls. However, the home is soon taken over by tension and dangerous rivalries or his affection. This story is based on the real-life relationship between Kumail Nanjiani and Emily V. Gordon. Pakistan-born and aspiring comedian Kumail connects with a grad student named Emily after one of his stand-up shows. After falling madly in love with her, he discovers she is dying of a mysterious illness. He is forced to navigate the medical crisis with her family while trying to earn the understanding of his own. The Avon Theatre in Stamford is just the beginning! Here are even more local theaters near Greenwich that are sure to satisfy all of your entertainment needs. Since 1927, this Stamford area attraction has provided locals and visitors with some of the best performances in the state. Whether you’re a lover of opera, comedy, or dance, you’re sure to find a production that the two of you will enjoy together. Stamford Center for the Arts is comprised of two newly-restored properties in Downtown Stamford, the Palace Theatre, and Rich Forum. Both of these theaters are located within four blocks of each other and just 15 minutes from the Stanton House Inn, making it easier than ever to enjoy some of the region’s best entertainment during your stay! Searching for the perfect place near the Avon Theatre in Stamford? The Stanton House Inn in Downtown Greenwich is just what you need! Located approximately 7-miles from the artistic spaces, our luxury bed & breakfast will help you unwind after a long evening. 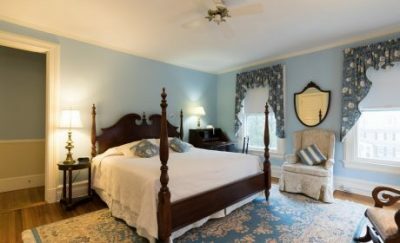 Unlike typical hotels, the historic Stanton House Inn provides its guests with a one-of-a-kind lodging experience in an elegant and sophisticated atmosphere.